Perfect is the enemy of Art. Perfect stands like a little vampire on my shoulder, pointy pen and pointy teeth, waiting to pounce. Perfect plots revenge on Creativity. She gathers her posse – Self Doubt, Superiority, Righteous. Ah, but Creativity drags her friends from their hang out at the coffee shop. Creativity’s two good pals are Art and Good Enough. Good Enough is tall, although she has a limp. She brings her sister, the one with the lovable shrug. Her name? Whatevs. 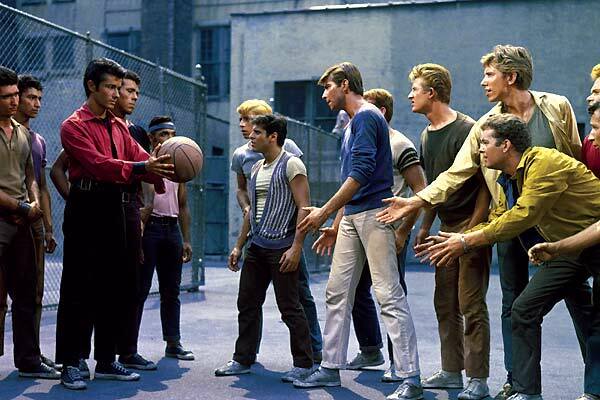 Perfect squares off against Creativity, like the Sharks and Jets of West Side Story. They are ready to rumble in an abandoned schoolyard. The Righteous goad Perfect. They are going for blood. But Good Enough and her friends can’t take it any more. They begin to giggle. There is nothing Perfect hates more than giggles. It is like a pail of water on the Wicked Witch. Giggles melt Perfect. Giggles are contagious. The girls all get silly. They all fall down. They stay out all night, playing hopscotch, jumprope and basketball. They all become friends. These are the warring factions within me: Perfect, Righteous, Self Doubt and Superiority against Creativity, Good Enough, Whatevs and Art. Who are your rumbling righteous? Who are your creative conquerors? Whose side are you on? How does your creative self make your perfectionist side giggle?